With the August sun sparkling on Lake One, Chase Coyle stuffed dry sacks full of food for a four-day trip into the Boundary Waters. "It's a great place to preserve. Once it's wrecked, it's wrecked," Coyle, from St. Paul, said of the northern Minnesota wilderness. "It seems like it's the way it's been for 10,000 years, a national treasure." 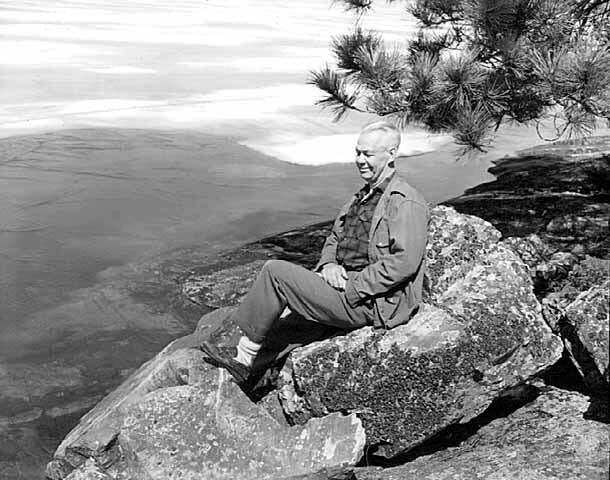 His words could well have been uttered 50 years ago during the polarizing debate over the Wilderness Act, the federal law that protected 9 million acres of federal land, including 1 million acres of the Boundary Waters. The law helped cultivate an environmental movement that pushed to protect America's last wild places. But it also ignited a huge battle, centered in Ely, over who should control Minnesota's wilderness. Echoes of that battle can still be heard in the emerging debate over proposed copper-nickel mines near the Boundary Waters. Fifty years ago, though, it felt to some like a fight for survival. The region had a long local tradition of motorized boating and snowmobiling in the national forest. Its thriving fishing resort industry felt threatened by the environmentalists. 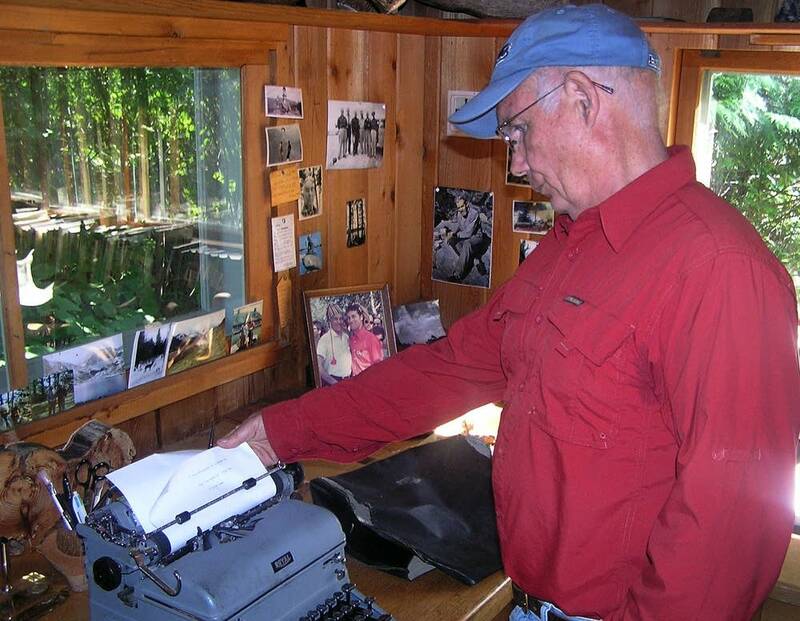 An Ely community college teacher and writer named Sigurd Olson emerged as a national leader in the fight to pass the act, a role that pitted him against many in his hometown. By 1964, he'd already spent decades pushing to restrict human activity in the Boundary Waters. "The reason why we find outdoor experiences so valuable is because it has an emotional impact on people. That's what Sig was writing about," said Chuck Wick, a longtime friend of Olson's. "Many people have come here and said Sig put down on paper what I was thinking, or feeling." Olson's advocacy wasn't universally popular in Ely, added Wick, vice president of the Listening Point Foundation, which owns Olson's private retreat on Burntside Lake near Ely. "There were times in the '20s and '30s that Sig and his neighbor and business partner Pete Peterson would go to an outfitters meeting, and the feelings were running so high that their wives wondered whether they'd come back alive. It was pretty tense," Wick said. 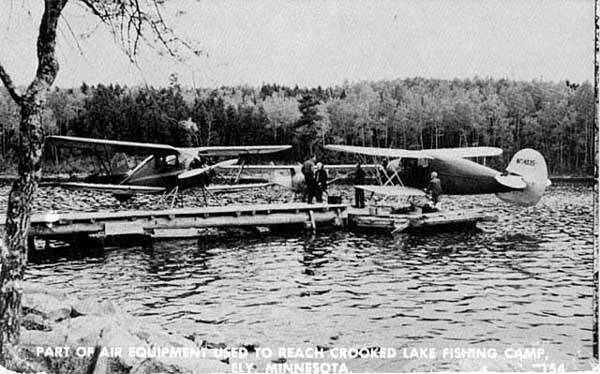 In the 1940s, Olson lobbied for a presidential ban on float planes in the Boundary Waters, further fueling local anger, and for a law authorizing the federal government to buy out private holdings within the Superior National Forest. In 1956, he wrote his first book, the bestselling "The Singing Wilderness." That same year, the wilderness bill was introduced in Congress for the first time by Olson's friend, Minnesota Sen. Hubert Humphrey. Eight years, 19 hearings and dozens of rewrites later, the Wilderness Act became law. Kevin Proescholdt, author of "Troubled Waters: The Fight for the Boundary Waters Canoe Area Wilderness," calls the bill revolutionary. "For so much of our nation's history, wilderness was something to be conquered, and to develop wilderness was something good. And so for the nation to make almost a 180-degree turn in the opposite direction, to say that these remaining wild areas were worth saving, really was a dramatic change in the national thought process," he said. Getting the act passed required a compromise that allowed logging and motorized boats and portages in the Boundary Waters, primarily to give anglers quick access to Basswood Lake. Because of that, said Chuck Wick, the BWCA is the only specific wilderness mentioned in the bill. That compromise in turn led to more controversy, over mining, logging, motors and snowmobiling, activities wilderness advocates considered incompatible uses. In the mid-1970s there was an effort to put more restrictions on the Boundary Waters by managing it more like an actual wilderness. By this time, Olson was more of a mentor for the movement than an activist. But he testified at a congressional hearing in Ely in 1977, when simmering tensions came to a boil. Proescholdt, a volunteer on the wilderness campaign at the time, recalled a likeness of Olson hanging in effigy from the boom of a logging truck outside the hearing. "I remember when Congressman Bruce Vento called Sig to testify, and then the whole auditorium just erupted in yelling, booing, and shouting. Vento was pounding and pounding the gavel trying to regain order, and it went on for minute after minute after minute." When the crowd finally quieted, Olson spoke. His testimony was similar to a speech he delivered to the Northern Environmental Council three years earlier. "Wilderness has no price. Tranquility, a sense of timelessness, a love of the land — how are you going to explain love of the land, how are you going to explain the value of a sunset or a lookout point?" 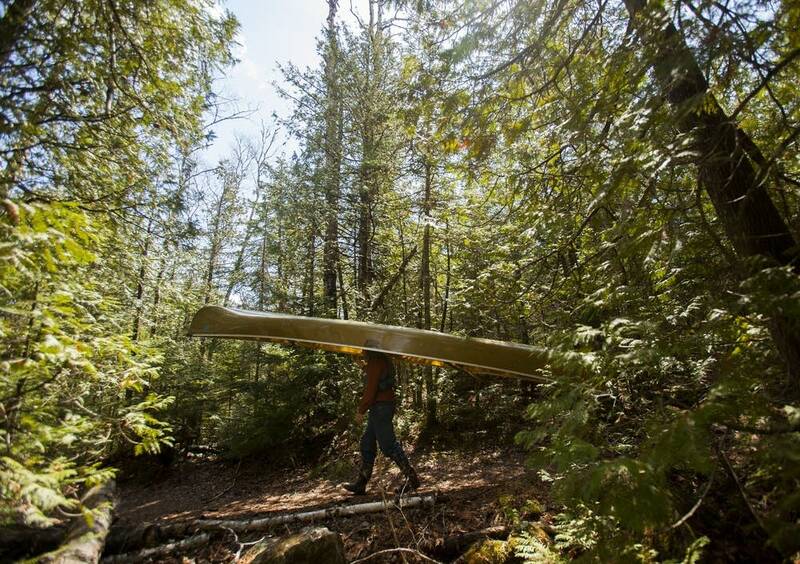 In 1978 the Boundary Waters bill passed, officially adding the word "Wilderness" to the Boundary Waters Canoe Area. Olson died a little over three years later at the age of 82. Fifty years later, it's easy to wax poetic about preserving the Boundary Waters' unspoiled beauty. Joe Baltich, though, remembers the bare-knuckled fights that came first. He was 17 years old in the summer of 1978, the year long-simmering tensions over access to the BWCA boiled over in his hometown of Ely. "I spent the whole summer being scared, because there were angry people who were being closed off to all the Boundary Waters by people who weren't from here," he said. Baltich, who owns Northwind Lodge 15 miles northeast of town, recalls long blockades of cars preventing canoeists from entering the wilderness. "It was an angry mob, they were really, really upset about it," he said. "Everywhere they had gone for all these years, was off limits, you can't go, we don't care, we're going to stuff this in your face, because you're a little itty bitty group of people up against this great big environmental movement." Longtime conservationist Becky Rom remembers those blockades, too. Her father Bill Rom was a longtime outfitter known as the "Canoe King" of Ely and a fierce advocate for wilderness protection. In 1975, protestors blocked access to the family business on the two busiest weekends of the summer. "The summer of the picketing was hard on my father," she said. "He was being picketed by people he'd lived with his whole life." Rom's father sold the outfitting business that year, ending a 30 year run in Ely. Baltich and Rom say that anger in Ely has slowly subsided. And attitudes have quietly shifted. Helen Koski had reason to be angry when the government banned float planes from the Boundary Waters in the 1940s. 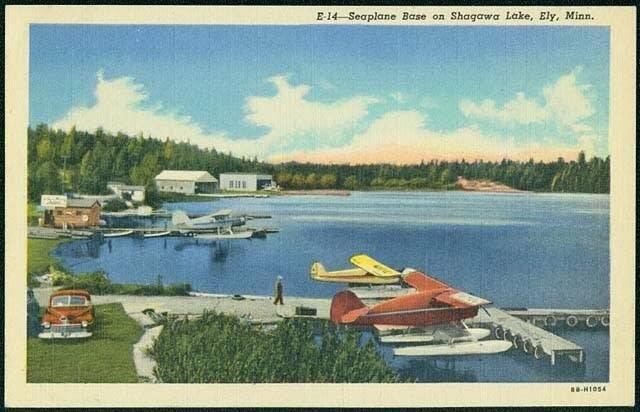 Her father owned a fly-in fishing lodge that he'd built on Crooked Lake in the 1930s. The float plane ban crashed the business and he eventually sold it. Koski says it was hard on her family, and for a long time they were angry, but now she feels differently. "I'm glad it's like it is. I'd hate to see Crooked Lake and Basswood Lake with cabin after cabin," she said. "We need the wilderness area. So in the long run it was a good thing." Even some who support the wilderness, though, chafe at the way it's managed, especially limits on motorized access into popular fishing lakes like Basswood. Retired miner and avid fisherman Paul Maki says this year he applied for 29 day-use permits. He got eight. "The permit system, it works, but I don't think it works like it should," he said. "I don't think it's a fair deal now." Baltich said the quota system should be tweaked to allow more motorized access. "I think they should open up some areas so that there can be some traffic to accommodate an older clientele," he added. But long-time motorized use advocate Nancy McReady, who for 25 years has run a group called Conservationists with Common Sense, doesn't want to reignite those old battles. "Any kind of talk of lifting any kind of restrictions, just feeds fire into the flames of the controversy, and I don't think our town needs that," she said. "Sure I'd love to be able to snowmobile in the BWCA. That was a big part of our culture here, to go snowmobiling and ice fishing in the wintertime." Instead, McReady said she just wants to preserve what motorized access there is, on 18 large lakes out of more than 1,100 in the wilderness. "If you want to enjoy the Boundary Waters, and not have motors, then don't go on the motor route," she said. "Don't go on the motor route and complain about the doggone motors on that lake. That's part of what was promised that we were going to be able to keep." The last big access fight in the Boundary Waters took place in the 1990s over motorized portages. While the battles over access may be over, some of the same tensions are emerging over proposed copper-nickel mines near the Boundary Waters, Becky Rom said. The ingredients that fueled those decades-old fights are the same as for the one brewing now — competing visions of economic development and wilderness protection. "The current debate about mining has brought up a lot of memories," she added, "bitter memories of what happened in the '50s, '60s and '70s."